This site is dedicated to helping the LHS class of '63 stay in touch. Here you will find information on the 2018 reunion and a way to contact us. If you have any ideas, click on Contact Us to your left and let us know! 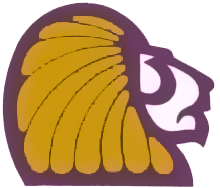 To the Purple and Gold we will all be true, LHS forever! In our games we’ll roar and then, LHS is sure to win! Fight Fight Fight and we’ll win the way to The Purple and Gold forever!